Harlan's fan-on-the-field play-by-play was well-received, but he's not returning to it. 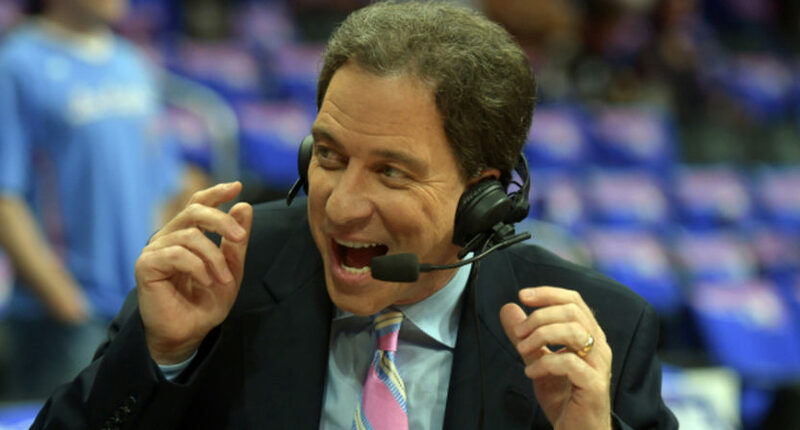 When Kevin Harlan delivered an amazing Westwood One radio call of a fan running on the field during a 49ers’ Monday Night Football blowout of the Rams last September, he initially was worried it was going to get him in trouble. It wound up being anything but; fans loved it, his bosses loved it, and even media outlets loved it, as it landed him a Tonight Show invitation to call pedestrians walking down the street (he had to decline thanks to timing and travel issues) and was played on Today. Harlan said he didn’t do it for publicity. It reminded him of what he would do to pass the time during horrible Chiefs and Timberwolves games before he was elevated to a network job. But even after making second call of a field invader (he noted that broadcast partner Boomer Esiason started that one), he’s retiring from the fan-running-on-the-field business.